I am writing to you in regard to your letter explaining why Cambridge University withdrew its invitation of a fellowship to Jordan Peterson. Many thanks for setting out your thinking so clearly. I am glad that you made it clear that the withdrawal was not for academic reasons, thus refuting those who argue that it was because Peterson was not academically qualified to comment on Exodus (the research proposal was that he do a series of lectures on Exodus – similar to his incredibly popular series on Genesis). I’m glad you have given the lie to that. Incidentally it was at one level incredibly brave of the theology faculty to turn down Peterson. It will come at some cost to you. His lectures would have been packed and would have brought significant numbers, kudos and even finance to Cambridge. At a time when there has been a decline in interest in theology Peterson has managed to get millions interested. It takes courage (or folly) to turn all of that down. The above is the first of his lectures on Genesis – please understand that I post it here, and write in defence of Dr Peterson, not because I agree with him, but because I find his material stimulating and thought-provoking. Which is clearly why you were willing to issue the invitation in the first place. So what has caused you to withdraw it? According to your statement it was this photo. You thought that this photo was a casual endorsement of Islamaphobia. But you did not seem to ask what Peterson says or thinks about Islamaphobia. You did not ask the context or circumstances of the photo. I am not even sure what Islamaphobia is. Could you give us the Cambridge University definition? As for Peterson, as far as I am aware he encourages people to study Islam and to respect Muslims. Here for example is a little of his considered thought on the subject. But your statement creates a further problem. 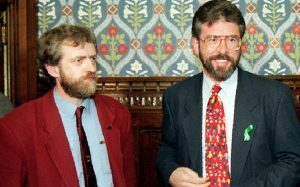 If you are going to ban people on the basis of people they are photographed with – then I assume you will now ban Jeremy Corbyn for these photos showing him with known terrorists. 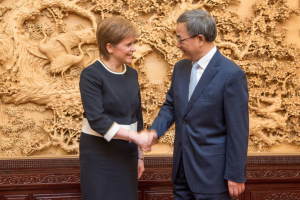 Or here is a photo of Nicola Sturgeon with a representative of a government which is persecuting millions of Muslims. Should you ban her for her ‘casual endorsement of Islamaphobia. Or is it only some Islamaphobes you are concerned with? And some terrorists. The problem is that you appear to have been somewhat selective in your criteria for photo banning. It is depressing to consider that this Orwellian irrational statement came from students of one of our top universities. Is inviting someone to lecture always a ‘political act’? Is it really the case that the only people who are permitted to lecture at Cambridge are those whose political views are ‘representative of the student body”? Is it not depressing to you as a Chancellor that you have students who think that they can learn nothing from those who disagree with them? What intrigued me even more was this phrase ‘the principles of the University”? Is that not similar to when politicians use the phrase “British values”? Does anyone, including themselves, have any idea what they mean? They use it as though it were self-evident. Could you tell us what these values are? Because no one seems to know. In addition to this can I respectfully ask in what way does Dr Peterson’s views go against the principles/valuse of the University? This is single-handedly the worst statement I have ever heard from any academic. It almost seems like a Private Eye parody. You affirm that anything that detracts from the free expression of ideas is just not acceptable – and then use that statement to justify banning Dr Peterson from freely expressing his ideas. You condemn yourself in your own self-contradictory statement. In that one sentence you have made a mockery of the English language, defied logic and fulfilled the prophecy of George Orwell concerning Newspeak. You have made the University of Cambridge a laughing stock. You argue that robust debate cannot occur when some members of the community are made to feel personally attacked – thus making feelings the arbiter of truth. This would curtail all debate because almost anyone could state that their feelings and personal identity were being attacked. But of course that won’t happen because you do not really mean it. You only think this applies to selective groups. For example I feel that much of what the faculty of Divinity does is an attack upon me as a bible believing Christian, attacking my very identity. But you won’t ban liberal theology will you? Nor will you ban on behalf of other ‘identities’ that feel attacked. No – you are highly selective and discriminatory in whose identities you feel should be protected. Your statement is also fundamentally dishonest. You imply that Dr Peterson attacks Muslims for their personal identity. Could you provide any evidence of that accusation? Or are you saying that any criticism of Islam is de facto Islamaphobic because it makes some Muslims feel uncomfortable and personally attacked? And again let me point out the inconsistency – you will apply that criteria to Islam but do you apply it to Christians? I have spoken at your University and been subjected to considerable criticism and even abuse – but I regard that all as part of the free exchange of ideas – I am not demanding that the atheist society be banned! You might want to argue that that is not part of my personal identity. But who are you to tell me what my personal identity is? As a Christian my identity is found in Christ – therefore whenever anyone mocks him, criticises his words it is like a personal attack. But again I don’t demand that they be banned. We fight error with truth – not with political power or suppression. It is ironic that the University of Cambridge, together with other elites institutions, is enacting a new blasphemy law. You are setting up a new series of Test Acts which will limit public employment and academic opportunities for those who do not accept your ideology. In this at least you are following precedent. It was Cambridge and Oxford who were the last bastions of the Test Acts – refusing to let students who were not Anglicans matriculate or graduate – until the mid 19th Century. Now you are creating a new Test Act – where those who do not bow down to your ‘values’ are excluded. All in the name of inclusion and tolerance. Of course you will get away with it. Why? Because in a society which does not recognise the concept of absolute truth we end up with one where those who have the power makes the rules. You are in power. You wish to protect your own position. And you will use whatever means possible to do so. The other thing that helps you is that once reason and rationality are removed people then rely on emotive identity politics. Then an issue like this becomes more about who you like and who you don’t like, rather than an issue of principle and truth. So people will decide on this issue on the basis of whether they like Peterson or not (a judgement usually based upon what they have read about him, rather than anything they have read from him). As a Christian I find it depressing that this identity politics has even infected the church. Truth is always trumped by feeling (backed up by the internet!). But you are forgetting that your university, like this country was founded upon Christian principles – including equality, diversity and tolerance. Amongst those values are freedom of speech and academic freedom. By your actions you are undermining the very foundations upon which your university stands. You are sowing the wind and you will reap the whirlwind. PS. I assume you have seen Dr Peterson’s robust reply? in which you cites your commitment to diversity of belief? Actions speak louder than words. And a couple of others about Peterson. David, I read that the word on the guys’ t-shirt is actually an urban slang word. Islamaphobe (is-slahm-a-fohb) a non-Muslim who knows more than they should about Islam. It is different from Islamophobia meaning fear or hatred of Muslims. It’s a difference of an ‘o’ and an ‘a’ in the spelling. Well spotted Peter. It is an erudite way to point out that Peterson could have been given the even-handed courtesy of explaining the circumstance of the photo, rather than the jumping to conclusions, singular, judgemental, knee-jerk, tabloid, reactive response from Cambridge. Not to make this into a thread on the photo, or Islam, but some of the rest of the words printed on it (the ones I can read) are pointers to deeper questions and conflicting ideologies, which are indeed raised in the western world, by liberals, by feminists, by the gay community, by some believers in Islam, even if largely shied away from in politics and education. Your post -op, post anaesthetic, thinking is clearer and higher than that which wafts from the culture-clouded, occluded, haven’t-the-foggiest, flat-landers, brain- flat-lining Cambridge Uni intellectual sand dwellers who have pretensions to world cerebral Himalayan heights. They are at ((de)-base(d) camp. After his public lectures Peterson is generally thronged by people who want to meet him and have a “selfie” taken with him. There would be a queue of people waiting, and it is most likely that he did not even notice the offending T-shirt, or its message which states a view which is completely contrary to everything he has ever stood for. This was a set-up pure and simple. But the cultural Marxists who now dominate academia (and much else in society) are happy to use anything to try to demonise those who challenge their ideology (as does Peterson). Cambridge University is diminished by this. Shame on them. The problem is that equality, diversity and tolerance are not Christian principles because Christianity is an exclusivist religion – believe in a certain type of Christianity or be tortured in hell forever – ever heard of Christian blasphemy laws, the wars between Protestants and Catholics, the destruction of paganism, the conquest of the New World, Christian anti-Semitism, etc, etc. Strange that so-called Bible-believing Christians are now aping Enlightenment values enshrined in the Universal Declaration of Human Rights which was influenced by Muslim, secular, Buddhist, Hindu, Christian and other ideas. Alex – thats a meaningless statement. By definition every specific view, whether religious or political, ‘excludes’ those who do not agree with its basic tenents. The difference between Christianity (which given its popularity is not always going to get it right)…and secular humanism is that Christianity can be tolerant because ultimately we believe that only God can judge. Secular Humanists in effect believe that they are god , or the secular state is God….therefore they cannot be tolerant of those who are opposed to them – because they have no authority outwith themselves. A salient Christian proposition is; not believing lies dressed in the clothes of truth. Since the 1st World War, faith in Christendom has been disintegrating and its disintegration has sapped our morality which had as its base Christianity. It left young and old troubled. It created a huge vacuum. This vacuum came to be partially filled during the 20th Century by the myths of ‘utopia’: The myth of peace, the myth of prosperity for all and the myth of equality. The pre-eminent myth of the last century was the one of peace, durable permanent, peace for always, peace between nations, peace amongst all. We wanted to believe in it. It was the theme of all political parties, of all election speeches. How we believed in political outpours for peace while they were being contradicted by incessant violence, the production of arms not only for defence but also to be sold to aggressive nations, even to nations at war so as to stir more hostilities? Indeed, last century’s pacifist speeches were of an incredible make-believe. The United States had the “Great Society” of President Johnson, a society where no one would be hungry; no one would live below the bar of poverty. The “Great Society” extending out of Roosevelt’s “New Deal” was invented to counter socialism and communism. Enormous, unsustainable, dimensions were given to “welfare” such that the Americans evolved towards socialism, as welfare is the essence of socialism. But, it’s well known, the Americans practice socialism without knowing it. After Johnson, it was necessary to come down a peg for there was still a great deal of poverty. Inequality is in nature. Nature wants inequalities. Inequality is part of the dynamism of change and of the struggle for survival. Equality is impossible in advanced societies because their complexity makes up their wealth and at the same time is a source of inequalities. Playing on one of man’s most despicable vices, envy and, on one of his most noble aspirations, the one of justice, demagogues distorted the notion of equality to human justice to reduce it into equality to consumption. All attempts to establish equality have failed because equality is unnatural. Equality to material and service consumption as well as in opportunity is a myth and of all myths it is the vilest since it is founded on human envy. The myth of peace is excusable since war is horrific and thus we like to be appeased with pacifist speeches. The myth of prosperity for all is also excusable since it is a cruelty to be poor and it’s nice to think that we could, instead, be rich. What is absurd is to think we will be prosperous by working less, or not at all, and it is a perversity to make anyone believe this as it is being done today. It’s important to note that only western Europeans fall for the lie that prosperity is better distributed by doing less work. It is true that Christianity is unique but its uniqueness collapses as soon as its truths are divorced from faith in Jesus Christ. Hence, without faith in Jesus Christ nothing truly is “profoundly Christian”. On the contrary, it truly is anti-Christian. 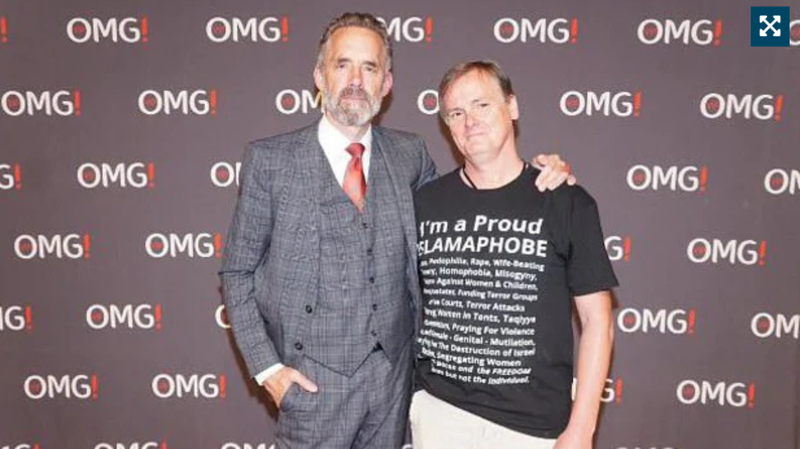 While I agree with much of what you say about the abilities of Jordan Peterson, I doubt there will be many who would not accept that the photograph of him embracing that T shirt does not reflect well upon him. He courts public attention and, on this occasion, it has played into the hands of his critics. It was a bad mistake. He should follow his own rules for life, accept responsibility for his actions, apologise and move on. I’m afraid you have missed the point of the article and fallen into the trap. The article was not about defending Jordan Peterson or excusing that photo – it was about Cambridge refusing to allow someone to speak because they do not ‘reflect their values’. Perhaps if people bothered to ask the simple questions I put in the article they would not be so hasty to make such quick judgements. A brilliant letter , David , and one which I hope that Cambridge University take on board. David , when I read such sense I am already truly beginning to miss you , and you have not yet begun to pack your case. It looks like you are again as fit as can be and I really hope that is the case. What follows refers to your statement: “You might want to argue that that (i.e., being a Christian) is not part of my personal identity. But who are you to tell me what my personal identity is? As a Christian my identity is found in Christ – therefore whenever anyone mocks him, criticises his words it is like a personal attack. But again I don’t demand that they be banned. We fight error with truth – not with political power or suppression”. 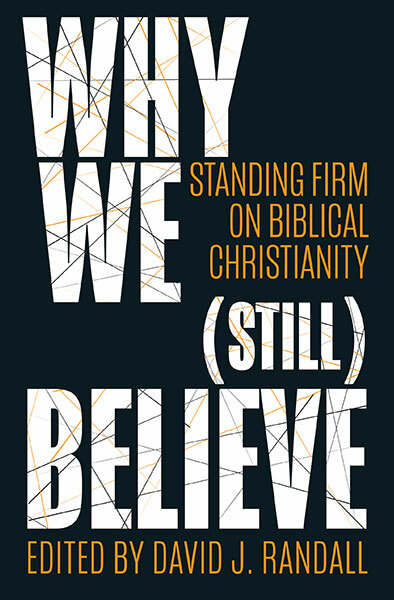 To say “We fight error” perhaps is an understatement, but to say “We fight error with truth” engages truth, and truth is; that the identity crisis in Christendom has been generated by Christians falsely so-called ineffectively preaching to the effect that Christians did not work to earn their salvation. That we did not work to earn our salvation goes without saying; as each of us knows we were saved when we were broken by our sins and deserving of wrath and damnation but – to our exceedingly great astonishment – God instead showed us his mercy by quickening us together with Christ that we might have the peace of Christ which Christ gives: not as the world gives, but as Christ gives so that in the wake of the mercy received from God we understand faith actually is power from God the Father and not any persuasion from man’s faculty to believe in God: such faculty being in every man but which in every man is completely impotent to convince of salvation because it not only is corrupted by sin but also is thoroughly convicted of sin. Simply put, the universal faculty to believe in God, which is possessed of every man, convicts of sin but it does not convince of salvation otherwise than by changing the truth of God into a lie. Changing the truth of God into a lie is what church gamers do to convince themselves, and others, of salvation completely void of effectual change; for winning in church gaming is being saved and persevering in sin at the same time without believing God and, hitting the jackpot gives rise to the common, but false, persuasion that once a person auto-proclaims himself Christian he can never lose his salvation; for he is saved by his self-conferred identity, not by his faith. Church gaming now is a general phenomenon affecting all churches in Christendom. Church gaming stems from knowing that because every man believes in God, man is naturally convicted of sin to the extent that either he feels compelled to seek forgiveness from God or, to seek a church capable of reassuring him psychologically of salvation without believing God which is the church gaming “solution” or, to deny God and call himself an “atheist” because he loathes either to know God, to indulge in the hypocrisy of church gaming or both. Unlike atheists, church gamers rob God of the glory He deserves; for if Jesus Christ says “Herein is my Father glorified, that ye bear much fruit” (Jn. 15:8) He means, according to church gamers, much fruit regardless of whether the fruit is good or evil. Jer. 24:5 Thus saith the LORD, the God of Israel; Like these good figs, so will I acknowledge them that are carried away captive of Judah, whom I have sent out of this place into the land of the Chaldeans for their good. Jer. 24:6 For I will set mine eyes upon them for good, and I will bring them again to this land: and I will build them, and not pull them down; and I will plant them, and not pluck them up. Jer. 24:7 And I will give them an heart to know me, that I am the LORD: and they shall be my people, and I will be their God: for they shall return unto me with their whole heart. Jer. 24:9 And I will deliver them to be removed into all the kingdoms of the earth for their hurt, to be a reproach and a proverb, a taunt and a curse, in all places whither I shall drive them. Jer. 24:10 And I will send the sword, the famine, and the pestilence, among them, till they be consumed from off the land that I gave unto them and to their fathers. After having placed the identity (religious) question in its true light, the LORD tells Jeremiah how He shall intervene because the question cannot be resolved by man. In other words; being convinced of salvation is impossible without Divine intervention since the crux of the matter is to know the LORD personally – “I will give them an heart to know me” – and not the psychological appeasements, if any, of church gaming. All this simply to say that church gaming is a generator of false identities and that these false identities in turn generate others and so on until it becomes impossible to know what’s what and/or who’s who. So let there be no delusion, the crisis of identity raging throughout Christendom in the nations of Christianity is from church gaming with what looks like truth but is not truth as, for examples; “We are not saved by obeying the Law” instead of “We are saved if we are broken by the Law” and “We believe in God” instead of “We believe God” and “We know about God” instead of “We know God”. You’ll appreciate that the given examples reflect a subtle difference and that it is on account of the widespread general offer of what looks like truth instead of truth that God has brought us to where we are today. That’s ok, we’ll catch the next lesson on You Tube! Ben Shapiro, another popular speaker, has an interesting video explaining how Peterson has large numbers (thousands over the years) of people pose with him for a photo shoot for a few seconds. He doesn’t seek out the people in the photos, they seek out him. There is no way he has any time to ponder the clothing of everyone who stands next to him. So, if we want to play the context game, Corbin is going to come out far worse. 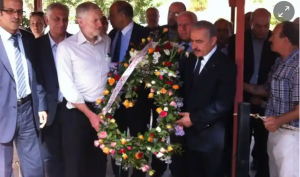 His meetings with terrorists were far from incidental. He sought them out. Wouldn’t it be fun to find some pictures of Cambridge’s VC standing next to leaders of countries with reprehensible regimes who have received Cambridge degrees in the past, or whom he has met in any context? We could then ask Cambridge University to remove him from his post because he clearly must share their evil values? After all, you are as bad as everyone you have ever stood next to or been seen with or been photographed with.